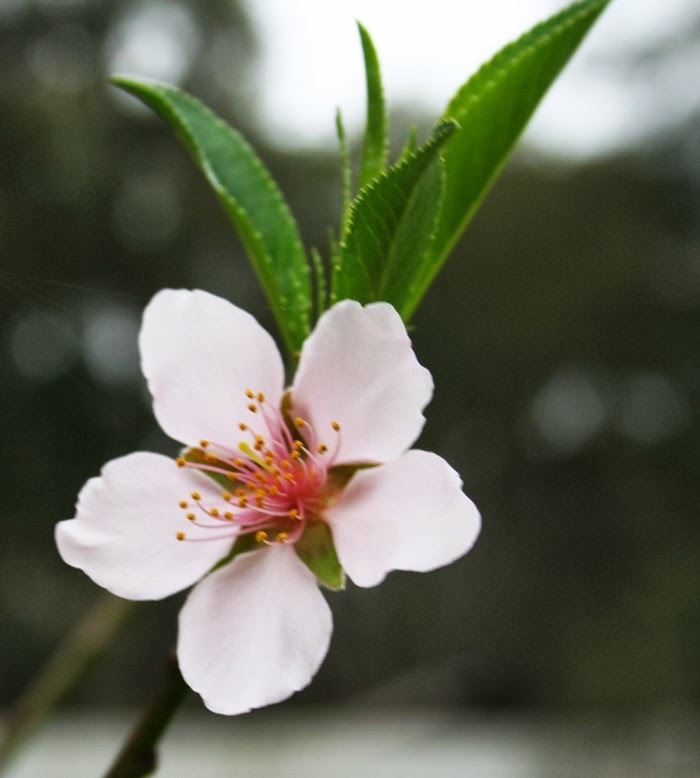 Florida Survival Gardening: More success: seedling peach trees are in bloom! 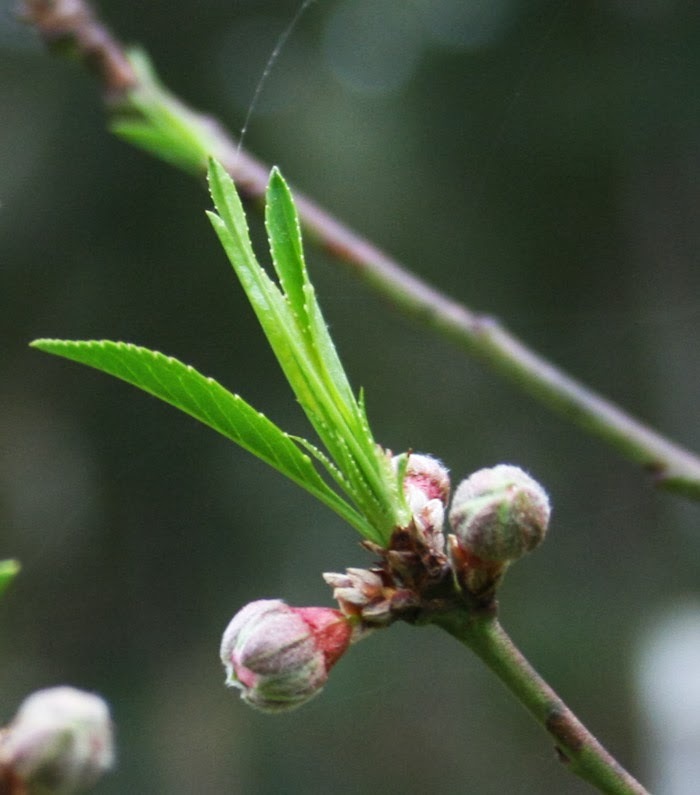 It was a year ago that I wrote my original "grow fruit trees from seed" post. The peaches were only a foot or so tall then. I'm blown away. Don't let naysayers keep you from experimenting. Thus far, the nematodes don't seem to be giving the trees any trouble. Liberal applications of compost and mustard greens may have helped, but really... 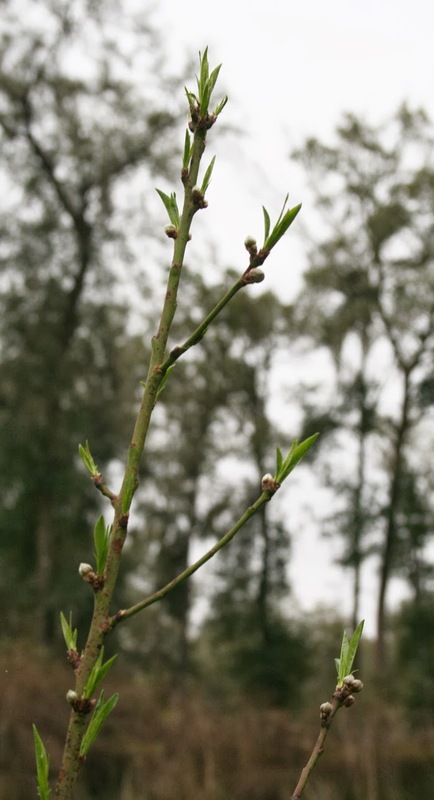 I'm now convinced that trees that get their start from seed and get in the ground before sitting in a pot for any period of time are significantly tougher than trees that are potted, grafted, re-potted, grown big, then planted. Since my peaces are young, I wouldn't be surprised if they drop their blooms without fruiting this year. Even if they do, it's been an impressive showing. I bought some red currants at the supermarket today just so I could plant the seeds! Have you tried growing Monstera in Central Florida? I'm craving tropical reminders of SoFla and am thinking of bringing some up here to try growing them. Opinions? We're a bit south for currants and a bit north for Monstera... but if I were you I'd try growing both. I've seen philedendrons growing here around oaks and they're a close relative to their edible cousin... so... try it! If you're worried about losing them to the cold, just tuck them up close to a house or under a good tree canopy. Let me know what happens. I have a few in my South Florida Food Forest Project. I'd love to know if they'll grow here. I also miss the tropics.